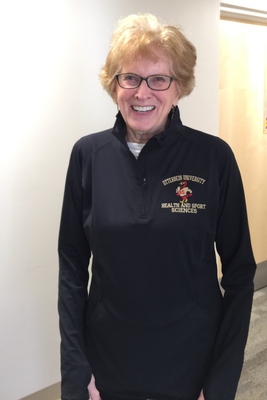 Jane with her new HSS department shirt. Boose, Annette Harting, "Health and Sport Sciences 66" (2015). All Health and Sport Sciences Images. 316.